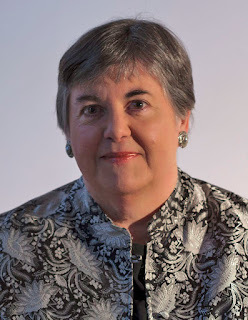 I got to talk about one of my favorite genres on Episode 129 of the GSMC Book Review Podcast: WWII Historical Fiction. 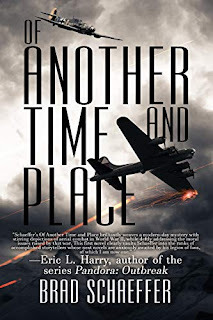 I spoke with Brad Schaeffer about his book Of Another Time and Place. She wondered if he was the man she was searching for. How many men after all could have that name, and be both a retired musician and a former Luftwaffe ace? She had so many unanswered questions. How would he explain the violence, the many deaths by his own hand? How had he survived when so many of his comrades perished under the guns of the Allied air armadas? And most important, had this man somehow found redemption? Or was he just another grizzled old Nazi living out his last days in undeserved anonymity, still unrepentant for the horrors his people inflicted upon the world, and her people in particular. 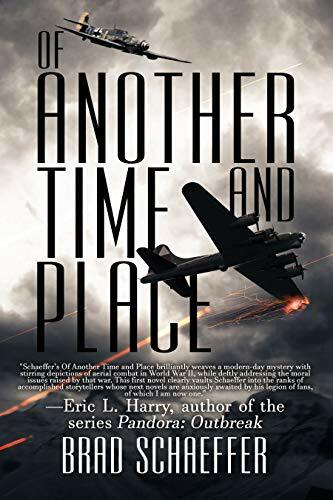 Rachael Azerod, a New York reporter, flies to London to interview Harmon Becker, the former German WW II hero whom Hitler himself awarded the highest honors—but she has her own reasons for meeting. Was he just a soldier? Or did he do something so astounding that not even he was willing to remember it…until now. This story is told from two different time periods. As Rachel interviews Harmon in the modern area he tells her the story of his experience. I liked that the relationship between Rachel and Harmon evolved as the WWII story unfolded. I also really liked how Amelia, Harmon's girlfriend and eventual wife, while a secondary character in many ways, is really the driving force behind much of what happens in the story in terms of Harmon's choices and decisions. She was my favorite character. Most of the WWII novels I've read have been from the perspective of the allies, and while this isn't the first or only story told from a German perspective, I really appreciated how Brad showed a realistic picture of a German citizen during this time. Harmon is a product of his environment, not completely brain-washed by Nazi propaganda, but not completely against the Nazis as a political party, either. It's not black or white and Harmon is a human character who has to examine his life, his choices, and what is happening to his beloved country. This is a well-written, multi-faceted, and enjoyable historical fiction book. 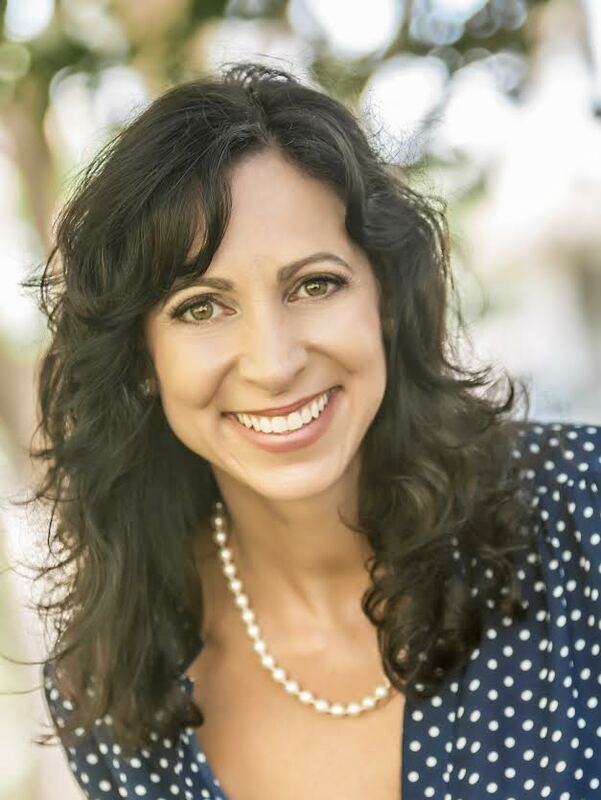 On Episode 125 of the GSMC Book Review Podcast I was happy to welcome back author Priscilla Oliveras. Priscilla first joined me on Episode 69 to talk about the second book in her Matched to Perfection trilogy Her Perfect Affair. This time she returned to talk about the final book, Their Perfect Melody. I really like this family and have enjoyed all three of the sisters' stories. I'm actually sad that this is the conclusion to this trilogy as I will miss the Fernandez family. I love how family-centered this series is and how skillfully Priscilla twines both family life and Puerto Rican culture throughout. I mentioned in the first interview that although I'm not Puerto Rican there are still many aspects of the family dynamics of the Fernandez sisters that I completely relate to. Lilí and Diego start out butting heads a lot. They both bring their own issues from their pasts to the relationship and those issues spark mistrust and misunderstanding. They are undeniably attracted to one another, but run into conflict because of their prior experiences. Eventually, they start communicating in ways that help them to better understand one another and are able to move forward. Lilí's sisters, Yazmine and Rosa, are present throughout this book and the reader gets to continue watching their sibling bonds strengthen and grow as they did through the first two books. If you're a fan of contemporary romance you can't go wrong with this delightful trilogy. My first language was Spanish, followed quickly by Spanglish as I learned new words and phrases from other kids on the playground. With a Mexican American dad who served in the Navy and a Puerto Rican mom who earned her business degree from the University of Puerto Rico, my life has been a mix of our Latino culture and good ol’ US of A traditions. Kinda like my books. I WILL catch up eventually! Moving right along we come to Episode 124 of the GSMC Book Review Podcast and my interview with Susan K. Hamilton about her dark fantasy novel Shadow King. 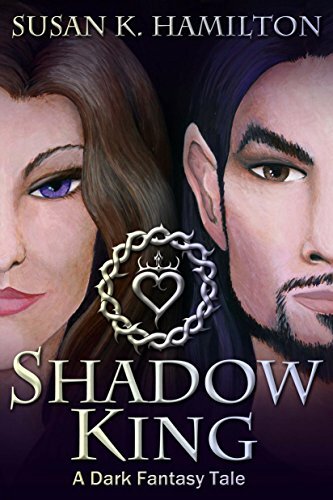 In a world where humans and faeries must live and work together, Aohdan Collins has abandoned the Seelie Court and ruthlessly worked to become the Fae Patriarch of Boston’s criminal underworld. Ambitious and single-minded, Aohdan turns his attention to expanding his influence and power, but when he shares a shot of whiskey with the lovely Seireadan Moore, everything changes. Cursed with the Sight, Seireadan has been haunted since childhood by a vision of the Fae responsible for the death of her family, and who created The Desolation—the corrupt, dark spell that destroyed the Faerie Realm. Driven by revenge, Aohdan may hold the answers Seireadan seeks, but everyone knows that bad things happen to people who cross Aohdan Collins. I have to admit that I'd never heard of dark fantasy before this novel. I'd read some, but didn't know there was a specific genre. For as well read as I think I am, there is a LOT I don't know. I'm OK with this as it means I get to learn new stuff all of the time. When I first started reading this book I wasn't sure I was going to like Aohdan much as a main character. I much preferred Seireadan. 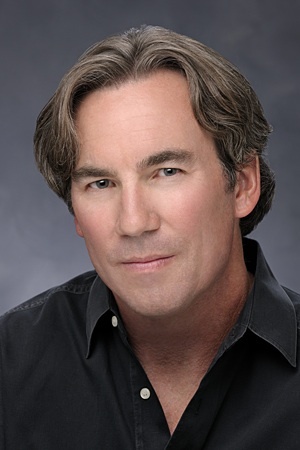 Aohdan does not come across as a nice person, especially at the beginning, but as the book went on Susan did a great job of developing him so the reader begins to see his character and how he holds to a strict moral code. As their relationship develops both Aohdan and Seireadan bring different aspects of themselves to it, which has an affect on the other. One thing I really liked about this story is that the fantasy and normal world aren't separate. The fae are known to the mundane world and interact with them. This isn't terribly common in fantasy books, and I found it really interesting. 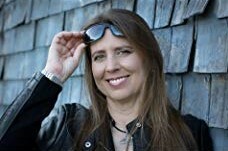 Susan does a great job of exploring how the two worlds might interact and what happens when the faeries can't simply escape to their own realm or use magic to fix or change things in the human world. This affects how the two worlds interact and what happens to the characters in those interactions. Susan's writing is engaging and layered, and her characters are nuanced. If you're a fan of dark fantasy you'll enjoy this book. If you've never read dark fantasy but like contemporary fantasy and romance then this is a great place to jump into the world of dark fantasy! 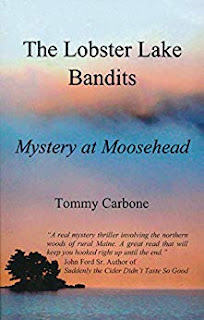 On Episode 123 of the GSMC Book Review Podcast I welcomed Tommy Carbone back to talk about his new book The Lobster Lake Bandits: Mystery at Moosehead. Tommy had first been on the podcast in July (Episode 94) to talk about his memoir, Growing Up Greenpoint. 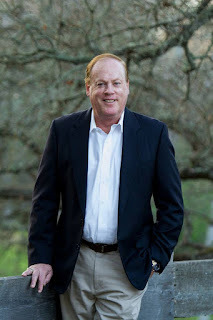 For his new book he switched from memoir to mystery and from Brooklyn to his adopted home state of Maine. Nothing much really happens in the north woods, that is, until you mix seaplanes, poachers, game wardens, and strangers in a mystery at the lake. Three generations of the Parker family had grown up in the woods near Maine’s Lobster Lake. The Parkers knew the roads, trails, and lakes around their cabin better than anyone, except maybe the local game warden. It was always a peaceful and safe place. That all changed the year Joe Parker rescued a girl, the oddly dressed stranger stalked their woods, and the bandits caused some serious trouble. This book is absolutely a love letter to the north woods of Maine and definitely made me want to visit. I really liked the way Tommy wove the various timelines together, and how the flashbacks set up more of the story to come in the rest of the series. I was expecting a bit more of the more recent timeline (set in the 80s) with Joe and Sarah, but their relationship will be explored further as the series continues, which gives me something to look forward to. If I had to choose one word to describe this book it would be layers: layers of mystery, layers of timelines, and layers of relationship. Each layer builds on the ones previous to create a rich story full of interesting secondary characters, likeable main characters, and a location that is a character in itself. 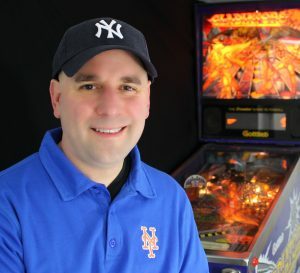 Tommy Carbone grew up in Greenpoint Brooklyn during the 1970s and early 80s. He roamed the avenues, hung out in candy stores playing pinball, and dodged cars chasing spaldeens. Brooklyn was then, as it is now, the “4th largest city” in America. 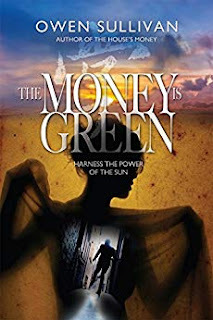 On Episode 121 of the GSMC Book Review Podcast I spoke with Owen Sullivan about his book The Money is Green as well as the other three books in his Indecent Fortunes series. I've known Owen for about 8 years, and he has been friends with my hubby for over 20, so it was a lot of fun to get to chat with him on the podcast about his books. And we got to chat in person! I've done all of my other interviews over the phone or via Skype, but since Owen is local he actually came to the studio which I really enjoyed. Mei Chen the seductive wife of the third highest-ranking official in the Communist Party, owns and operates Soltech with an iron fist. An industrious and successful business woman, she makes not attempt to hide her excessive wealth or shy away from her controversial opinions. Although extremely powerful, she yearns for more...wealth, status and above all more power. This series introduced me to a lot of aspects of finance, building, real estate, etc. that I didn't know, and this book was no exception, teaching me about the solar industry (I joked in the interview that he is the only person I know who could make use the word photovoltaic in a book and make it sound completely natural). Owen has a way of writing about these topics, which are important to the overall plots, that is informative and integral to the story without making my eyes glaze over as I wondered why there was so much detail. This book is full of action and intrigue with touches of humor, romance, and family dynamics. The characters were well-developed and layered and the story kept me engaged throughout. All four of Owen's books are part of his Indecent Fortune series, but each can be read as a stand-alone novel. 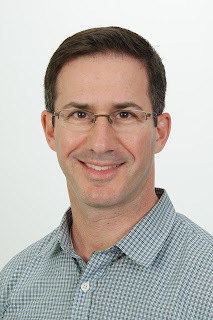 As I continue playing catch-up on the blog posts, I move on to Episode 119 of the GSMC Book Review Podcast and my interview with Brett Fleishman. 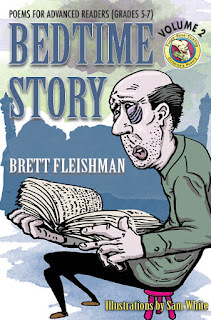 Brett writes collections of children's poetry and joined me on the episode to talk about the three books in his second collection, one each for different levels of readers. All three collections are delightful. 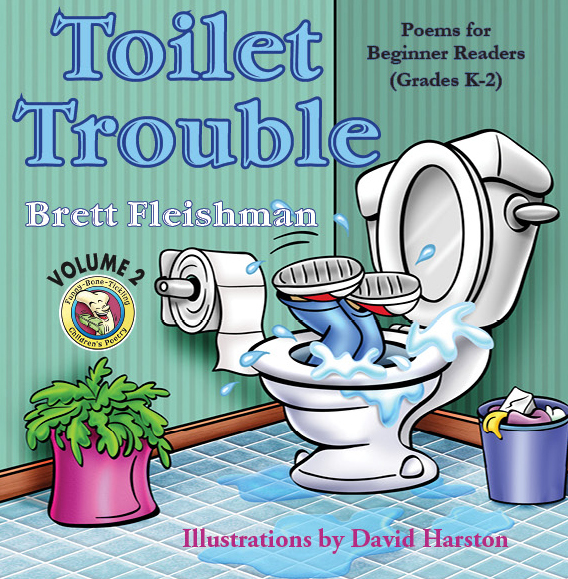 Brett's poetry reminds me a lot of that of Shel Silverstein, and he captures the humor of each of the three age groups perfectly. I love that the books also contain word puzzles (some of which are actually quite hard!). In addition, he uses a lot of puns, metaphors, etc. which are explained in a glossary at the back of the book so if a child is confused or wants clarification while reading he or she can find it easily. Brett does quite a bit of work with different schools, so something else I really appreciated about these collections is that they contain poems written by students from the schools he works with. 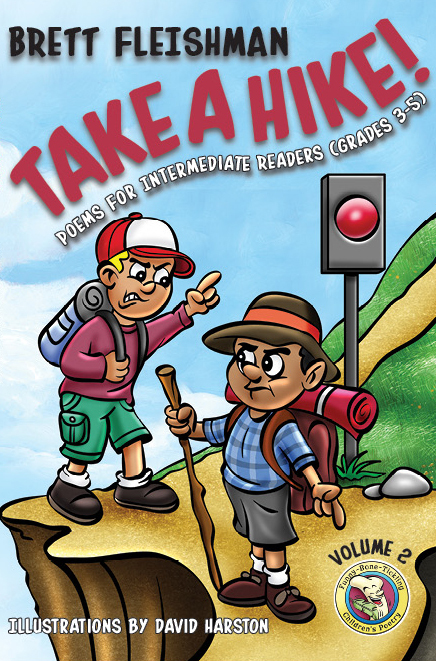 He asks the students to write a specific type of poetry after they've discussed it and then he chooses winners to be included in his books. How cool would it be for a kid to have his or her poem chosen to be published? I am so very far behind on the blog posts for the podcast. So I'm going to try to catch up. Way back on Episode 118 of the GSMC Book Review Podcast I interviewed Laury A. Egan about her book Fabulous! 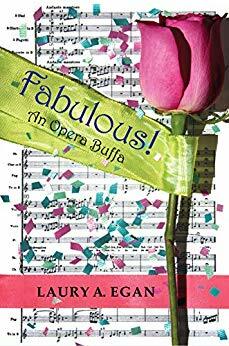 : An Opera Buffa. This book is hilarious, and yes, fabulous. Gilbert as a main character was occasionally over-the-top and campy, making me laugh and sometimes roll my eyes. He's not a one dimensional character, though. He is caring, loyal, creative, funny, has complicated relationships with his mother and ex-boyfriend. 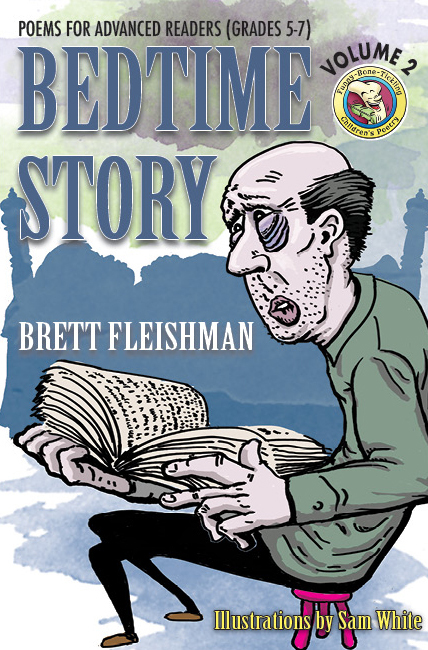 The story contains elements of comedy, suspense, action, and romance, with secondary characters that contribute and enhance each of those elements. Laury's writing is full of humor and warmth and she has created a story that is thoroughly enjoyable. At 254 pages it's a quick read with a fast-paced plot. Golden State Media Concepts’ Book Review Podcast is for bookworms of all kinds. We talk about books for all ages, from Children to Young Adults to Teens to Adults. We cover genres from Mystery to Memoirs, Romance to Comedy, Fantasy to Sci Fi. If you love to read then this is the podcast for you.